I was reading a book about one man's recollections of his childhood. Fifty years after growing up in Hampshire during the 1930s he had put pen to paper and allowed his memories and experiences to be shared by those who came after. To me the 1930s was way back in the distant past and as each chapter unfolded I found myself discovering things about the life and times of the author that were previously unknown to me. My mother was born in Hampshire in 1915 in the same city as this man, so I found some understanding of how she and her younger brothers and sisters would have spent their childhood. That generation has all passed away now and it is a sad fact that when they are with us, we are too young and too busy living our own lives to ask them about such things. 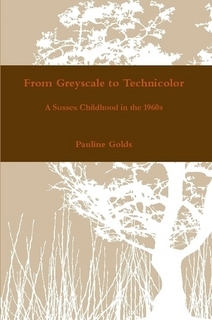 I began to realise that my childhood in 1960s' Sussex would be just as alien to my children and grandchildren as these revelations were to me. So I decided to commit my memories to paper, or rather to a Word Document as time has moved on considerably, in the hope that those who come after me can catch a glimpse of the past through the mind of one who lived it. At the time I began writing this book in 2007, my seven grandchildren ranged in age from ten months to almost thirteen, so I had no expectations that it would provide bedtime reading for them then. But perhaps in years to come, when I am just a distant memory and they are beginning to consider their own mortality, they may lift this dusty old book from the shelf and read with interest and with the same pleasure that the Wessex man's words have brought to me.